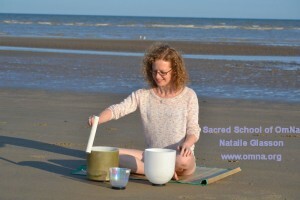 Natalie is known for her pure and powerful channeling ability which attracts many wishing to evolve spiritually to study with her. The Creator's love and the manifestation of inner bliss are always at the center of her communications, due to these qualities being valued by her soul. Natalie's soul extends from her Soul Group the Celestial White Beings who exist from the 14th dimension and beyond, she is currently acting as a representative of their energy and consciousness on the Earth. 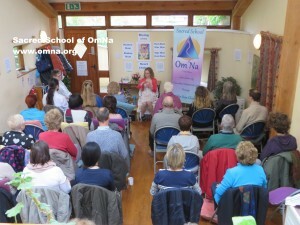 Natalie's first book was published in the UK in November 2010 entitled, Twelve Rays of Light, a Guide to the Spiritual Hierarchy. The book was later published and is available in the Lithuanian language. 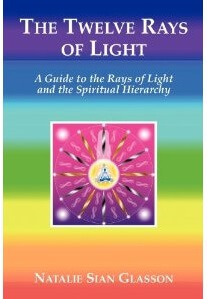 The Twelve Rays of Light is a unique guidebook to the spiritual hierarchy and energy levels beyond the Earth. The book helps you to discover the guides, teachers, leaders and Ascended Masters of the spiritual planes upon whom you may call daily to advance your development, expand your awareness and awaken your true self. Through the study of and integration with the rays and spiritual hierarchy, you will discover the keys to your own ascension process on the Earth. 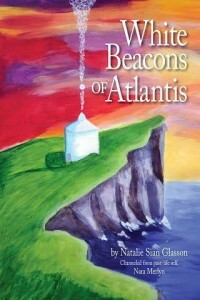 Natalie's second book, White Beacons of Atlantis, is now available, published in the USA as a paperback and digital download book by Light Technology Publishing. White Beacons of Atlantis shares the story of the lifetime and experiences of Nara, a High Priestess of the Celestial White Beings Temple in Northern Atlantis. Nara is the past life aspect of Natalie who experienced the fall of Atlantis. This is an exhilarating and enlightening true story accompanied with practical guidance to heal and reacquaint you with your personal Atlantean lifetime. Natalie made a contract many lifetimes ago during the time of Atlantis to be of service, in the present day she continues to assist people in anchoring into their bodies the sacred energies available in the universe, as light, love, and consciousness are the key to spiritual development. Natalie's channeled messages are being published by Sedona Journal Magazine in the USA since September 2015.